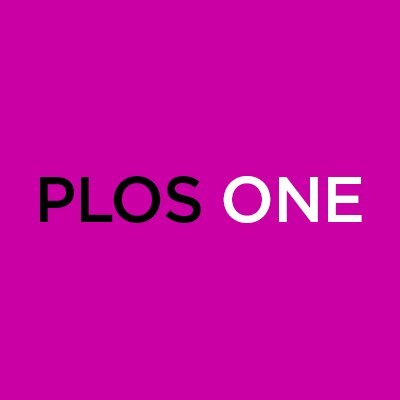 PLOS ONE has retracted two papers for image problems, which we’ve learned were brought to the journal’s attention more than four years ago. The first article came from a group of cancer researchers in China, and it turns out to have a bit more wrong than a few dodgy figures. The second also involved cancer research. Cases involving concerns about the integrity of the published record are complex and require careful handling; we investigate all concerns comprehensively, per the recommendations of the Committee on Publication Ethics (COPE). Depending on the concerns raised and the time since the publication of the article, follow-up can be time consuming owing, for example, to the potential need to recover data from laboratory archives and consult experts. In these two cases, we were notified of the concerns in 2014-2015. We regret our delay in bringing these to resolution and taking action on the published articles. PLOS ONE recognizes the importance of correcting the record as swiftly as possible after concerns are raised and validated, but unfortunately our follow-up on those cases was delayed owing to staff shortages at that time. We have since made several improvements to improve the efficiency with which we resolve cases, including the formation of the journal’s publication ethics editorial team in early 2018 and a significant increase in our available resources. Indeed, the journal told us last year about the creation of the publication ethics team, which is part of a small but growing trend at various journals. The paper from China, “Human phosphatidylethanolamine-binding protein 4 promoted the radioresistance of human rectal cancer by activating Akt in an ROS-dependent way,” was published in 2014 by authors from the The Third People’s Hospital of Hangzhou and has been cited five times, according to Clarivate Analytics’ Web of Science. In the present study, we examined the expression status of hPEBP4 in rectal cancer specimens and the adjacent normal mucosa as well by immunohistochemistry and explored whether hPEBP4 has a role in the radioresistance of human rectal cancer cells. Our data indicate hPEBP4 was relatively expressed in rectal cancer tissues and participated the radioresisitance of rectal cancer, which was Akt and ROS dependent. Our study implies that pharmacological or genetic modulation of hPEBP4 may have important therapeutic implications in improving the curative effect of preoperative radiotherapy for rectal cancer. The authors explained that they outsourced experiments reported in this article to four external companies. The involvement of external companies was not declared in the article. The authors were unable to provide an explanation for the concerns raised and do not have access to the full raw data underlying any figures in this article. We thank professor Wang Fan for his useful discussion and Miss Yu for her support in working schedule. In light of these concerns, the PLOS ONE Editors retract this article. JQ, GY, AL, DW, LD did not respond. ZS could not be reached. The second retraction involves “Macrophages mediate a switch between canonical and non-canonical Wnt pathways in canine mammary tumors,” from an international group of authors concentrated at Warsaw University of Life Sciences in Poland. The paper has been cited 14 times. After publication of this article , several concerns were raised about images presented in Figures 1B and 2B. We raised these concerns with the authors, who provided some raw data supporting results in Figures 1 and 2, but noted that the original images supporting the figure panels in question are no longer available. The above similarities call into question the integrity and reliability of the results reported in these figures. The concerns cannot be resolved in light of the data unavailability. Furthermore, the article is not in compliance with the journal’s Data Availability policy that was in place at the time of the article’s publication. JM, KM, AH, MB, AM, MG, EH agreed with the retraction. M. Pietrzak, M. Perszko, KR, KP, TM did not respond. MK did not agree with retraction. EM could not be reached. The retraction is the second for co-author Tomasz Motyl — sort of. His name appeared on a 2009 article in the journal Transplantation Proceedings, but an investigation by Warsaw Medical University concluded that he andt two other researchers had been added “without consent and against their wishes”. The Editorial Office of Transplantation Proceedings was contacted by the Research Integrity Officer of Warsaw Medical University. An internal investigation performed at the University as well as an ad-hoc review committee concluded that Ms. Solowiej falsified data while working in the university’s Surgical Research Laboratory. Further, Tomasz Motyl, Kazimierz Jaskiewicz, and Teresa Kasprzycka-Guttman were added as co-authors without consent and against their wishes. Ms. Solowiej has since left the institution and refused to consent to a retraction. In addition, her brother Jaroslaw Solowiej, also an author, did not respond to the retraction request. M. Godlewski, T. Motyl, A. Perkowska-Ptasińska, K. JaŘkiewicz, T. Kasprzycka-Guttman and W. Rowiński have all signed retraction statements. By falsifying the entire set of data, the first author has infringed the normal professional ethical codes and committed serious scientific misconduct by proffering a scientific record that does not accurately reflect the observations. To put it bluntly, this assumes that they are not lying about non-existent “external contractors” to try to justify (yet again…) the non-existence of the raw data. Or am I too cynical? If the first author of the Macrophages… paper falsified “the entire set of data”, what did the other 13 authors do? They (serially or in paralle—we may never know which) replicated the falsification. I read the above to say that is referring to a third paper, with 8 authors, 3 of which were added without their consent or knowledge. The question does remain as to what the other 4 authors did, but there are things like experimental design and data analysis that could have been involved.